Below are two images from other themes I am exploring. 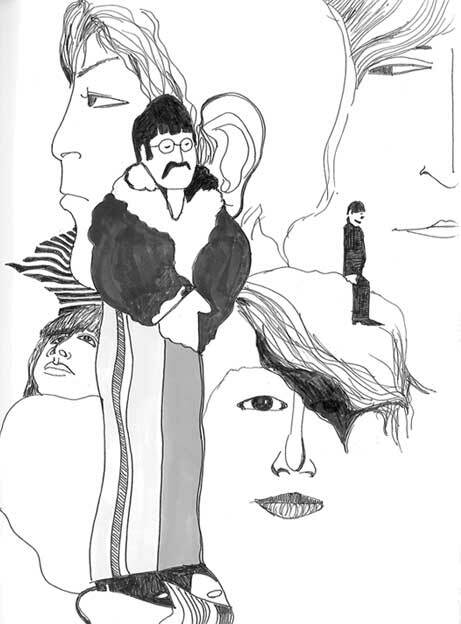 I love the Beatles, especially the art that surrounds their albums and videos. This illustration is based off of the cover for the album, Revolver. 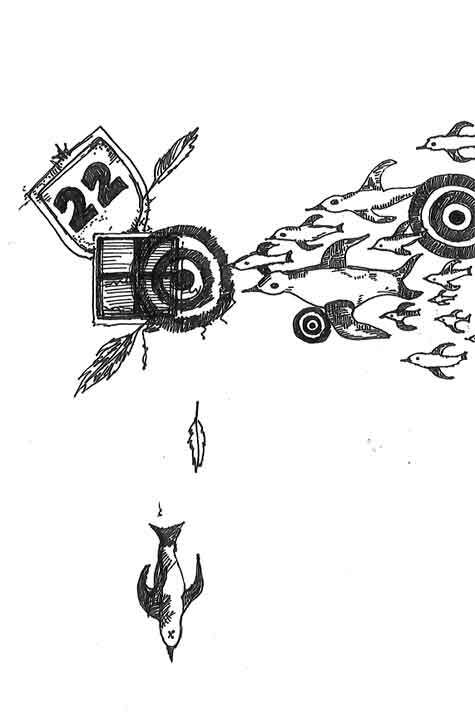 The next illustration is more recent, from a series in which I am exploring the theme of hunting. This is the first image of the series. I am in the process of creating an intaglio print of it.